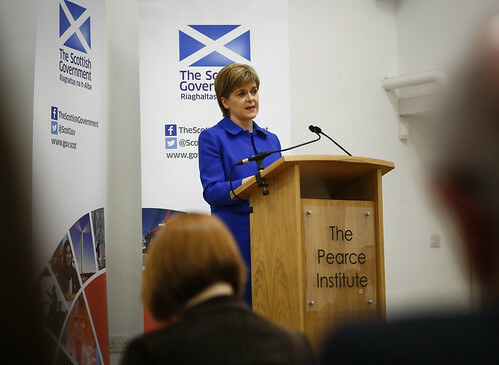 First Minister Nicola Sturgeon has vowed to defend the Human Rights Act. 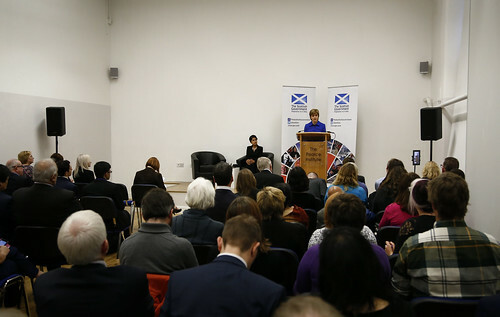 Speaking alongside director of Liberty Shami Chakrabarti at the Pearce Institute in Govan, home to Mary Barbour who 100 years ago this week led the Glasgow rent strikes, the First Minister highlighted how the Scottish Government strongly opposes any attempt to scrap the Act or withdraw from the European Convention on Human Rights. The First Minister said that the Scottish Government will not grant the consent needed by the UK Government in any attempt to repeal the Human Rights Act. “Responsibility for the Human Rights Act rests solely with the Westminster parliament, but European Convention rights are embedded into the devolution settlement and human rights itself is a devolved issue. “That means that any attempt to repeal or amend the Human Rights Act is likely to require the legislative consent of the Scottish Parliament. “It is inconceivable – given the breadth of the support which the Human Rights Act commands across the Scottish Parliament – that such consent would be granted. The Scottish Government will certainly advocate that it is not granted. Following the speech, the First Minister and Shami took part in a lively Q&A session with the audience, with around a dozen questions from members of the audience. It was fantastic to see so many people get involved from the audience, but also on Twitter where the hashtag #SaveOurHRA saw a flurry of activity from a range of voices.